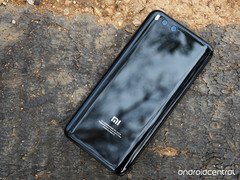 Xiaomi may have grown to be one of the biggest smartphone manufacturers within its seven years of existence but the company doesn't look like slowing down soon, with CEO Lei Jun setting a target of 100 million smartphone shipments in 2018. Xiaomi CEO Lei Jun has set a sales target of 100 million smartphone units for 2018. The Chinese corporation, founded in 2010, is the archetypal specimen of a business done right, as it has come grown to be a top ten smartphone company in the world, also being first in home China and second in India, just behind Samsung. The OEM recorded a whopping 23.2 million smartphone unit shipments in Q2. That's an impressive figure by all standards, albeit one that pales in the face of Samsung's 50+ million shipments in the same period. "I told everyone at the start of the year that the most difficult times are behind us. I also set a humble revenue goal of RMB 100 billion for the year. I am now confident we can achieve this goal," Lei Jun was reported as saying. "A new chapter for Xiaomi has just begun, and so many possibilities lie ahead of us. Our future is as vast as the constellations and beyond. Finally, let's just add another humble goal: to ship 100 million smartphones in 2018!" Meanwhile, the company is set to announce the launch of the Mi 5X and MIUI 9 on July 26.